When will the second merit list be uploaded? We appreciate your interest in using pakprep.com. AMC 2nd merit list is expected on 11th November 2017. Sir! NUMS ki 2nd merit list display ki date kia h??? PLZ! inform me about that…! Can girls apply in amc?? We appreciate your interest in using pakprep.com. Yes girls can apply for AMC through NUMS test. Fee of AMC is Rs:183,000/-. Please follow the bellow mentioned link for your preparation. Salam Sir will there be the new test for medical universities of sindh held or not?? Please Sir guide!! We appreciate your interest in using pakprep.com. There is no official new regarding re-conduct of Sindh MCAT test. We appreciate your interest in using pakprep.com. If you are willing to get admission in AMC than your marks are to low. Please follow the bellow mentioned link to get AMC merit list. Sir what is the closing merit of AMC for paying cadets? We appreciate your interest in using pakprep.com. 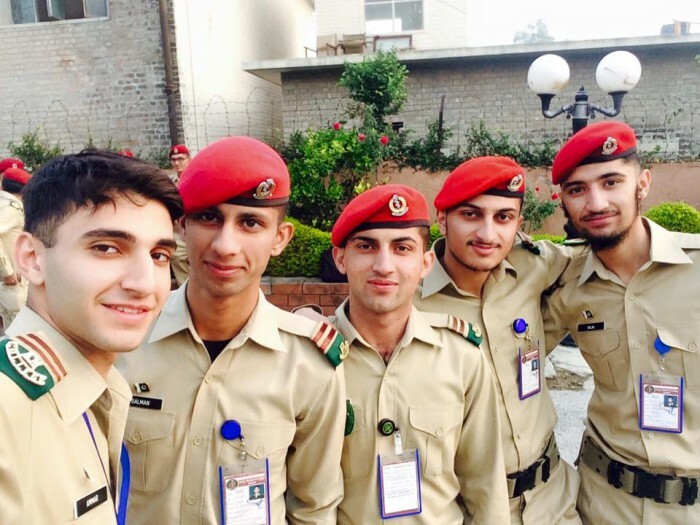 To get information for Paying cadet you need to contact directly to GHQ. Kia mein select ho skta hun..?? We appreciate your interest in using pakprep.com. NUMS announced 3rd merit list. Please follow the bellow mentioned link to get 3rd merit list. sir i got 117 marks in nums n i got 1040 in matric n 1026 in inter so can i get admision in nums? We appreciate your interest in using pakprep.com. You have very excellent academic record but due to less numbers in NUMS test you will not able to secure your admission. Do prepare for next year and try to get 150+ marks in NUMS test. Please follow the bellow mentioned links for your preparation. When will cmh display its first merit list of 2017? And what will be the last date for submission of dues? Please check the blogs at Pakprep.com for details. We appreciate your interest in using Pakprep.com. In order to get admission in NUMS your score should be 150+. You have to work hard for the entry test. We provide online fully explained MCQ’s which helps in your preparation to score good marks. Please follow the below mentioned links for your preparation. We appreciate your interest in using pakprep.com. You have very excellent academic record you must score 85%+ marks in HSSC to secure your admission. Do prepare for next year and try to get 150+ marks in NUMS test. Please follow the bellow mentioned links for your preparation. Asalam-o-Alikum. I find your website very helpful. I a currently a student of FSc-II and its just a few days time before my board exams. I am in a great confusion whether I should join an academy or study online for NUMS? Can I secure 150+ marks in NUMS if I study at home and online? Can you suggest the best websites for online preparation? Can you guarantee that your website is also very helpful n getting 150+ marks in NUMS? Thankyou so much in advance for taking your time and replying. We appreciate your interest in using PakPrep.com. Pakprep provides you a platform where you can find 15000+ fully explained MCQs with answers in an exceptional way. We are always one step head to not only help you in the preparation but to give you confidence to stand out and excel in life. Get yourself registered free of cost as we care and want to show you the path of your bright future. We have all MCQs conceptual which is very useful for NUMS test. So all you have to do is dare to dream and step forward to be a part of Pakprep family. Please see what our students tell about us.http://pakprep.com/testimonials.aspx. For more details please follow the below mentioned links. You must have minimum 78% aggregate in NUMS test to secure your admission. Pakprep.com is best source of preparation of the NUMS. Start your preparation through pakprep.com now and secure your admission. sir plz tell me the last year closing meirt of nums? We appreciate your interest in using pakprep.com. Your matric, FSC and NUMS test marks matter for your admission. we can not make any guess for this year merit however check last year merit list you will have an idea. To prepare yourself for NUMS entry test please follow the bellow mentioned links. NUMS dates are expected to be announce in last week of September. For more details you can call us at 0335-5833265.
i OBTAINED 862/1100 IN MATRIC AND i obtained 848/1100 mark in f.sc and how many mark i took to confrm my admision in mbbs and bds to obtaend nums test???? Respected sir, I have scored 995/1050 in matrix and 919/1100 in Fsc now what scores I need in NUMS 2018 to secure my admission? We appreciate your interest in using pakprep.com. You need to score 155 -160 marks in NUMS entry test. NUMS test dates are expected to be announce in last week of September. Please follow the bellow mentioned links for you preparation. For more details you can call us at 0335-5833265. We appreciate your interest in using pakprep.com. You need to get 160+ marks in order to secure your admission, however to get details regarding Army seats you need to contact directly to GHQ. NUMS dates are expected to be announce in last week of September. Please follow the bellow mentioned links for you preparation. For more details you can call us at 0335-5833265. I got 974/1050 in ssc and 920/1100 in hssc. My father is in army. I wanted to know how much marks i will have to get in nums test to secure admission? We appreciate your interest in using pakprep.com. You need to score 155-160 marks in NUMS entry test to secure your admission. However you need to contact directly to GHQ regarding Payee Cadet details. NUMS dates are expected to be announce in last week of September. Please follow the bellow mentioned links for you preparation. For more details you can call us at 0335-5833265. We appreciate your interest in using pakprep.com. You need to score maximum marks in FSC as well as 150+ marks in NUMS entry test to secure your admission. NUMS dates are expected to be announce in last week of September. Please follow the bellow mentioned links for you preparation. For more details you can call us at 0335-5833265. Aoa. I secured 1013 in matric and 971 in Inter. How many marks should I score in nums test to get admission into amc? Also, please suggest how should I prepare for the test. We appreciate your interest in using pakprep.com. You need to get 155 – 160 marks in NUMS entry test. To prepare yourself for NUMS entry test please follow the bellow mentioned links. NUMS dates are expected to be announce in last week of September. For more details you can call us at 0335-5833265. We appreciate your interest in using pakprep.com. You have good academic record just need to get good marks in NUMS test and you can secure your seat. You need to score 150+ marks in NUMS test. NUMS dates are expected to be announce in last week of September. Please follow the bellow mentioned links for you preparation. For more details you can call us at 0335-5833265.
sir is there any method of fee concession? and can you please tell me the expected merit of 2018 mbbs in nums? We appreciate your interest in using pakprep.com. If you get good marks and mange to get admission in AMC than your fee will be Rs:183,000/- per year. NUMS dates are expected to be announce in last week of September. Please follow the bellow mentioned links for you preparation. For more details you can call us at 0335-5833265. We appreciate your interest in using pakprep.com. You have good academic record however if you mange to get 155+ marks in NUMS test you can secure your admission. To prepare yourself for NUMS entry test please follow the bellow mentioned links. NUMS dates are expected to be announce in last week of September. For more details you can call us at 0335-5833265. Sir how many seats are increased for civilians for mbbs 2018?What is the expected merit of mbbs of the year 2018? We appreciate your interest in using pakprep.com. Your matric, FSC and NUMS test marks matter for your admission. we cannot make any guess for this year merit however check last year merit list you will have an idea. To prepare yourself for NUMS entry test please follow the bellow mentioned links. NUMS dates are expected to be announce in first week of OCT. For more details you can call us at 0335-5833265. We appreciate your interest in using Pakprep.com. We recommend our students to cover full course, you don’t have to worry about it because different boards publish topics under different topics so just cover your own board course and visit Pakprep.com for better preparation. We appreciate your interest in using pakprep.com. Your matric, FSC and NUMS test marks matter for your admission. We can not make any guess for this year merit however check last year merit list you will have an idea but you should try to get more than 82. To prepare yourself for NUMS entry test please follow the bellow mentioned links. NUMS dates are expected to be announce in first week of Oct. For more details you can call us at 0335-5833265. Sir i had 975 marks in metric and 788 marks in fsc i also gave the mdcat for 2018 i wish to take admission to cmh Lahore medical clg how mich do i have to score in nums test to do so. We appreciate your interest in using pakprep.com. Your matric, FSC and NUMS test marks matter for your admission. we can not make any guess for this year merit however check last year merit list you will have an idea. To prepare yourself for NUMS entry test please follow the bellow mentioned links. NUMS dates are expected to be announce in first week of OCT. For more details you can call us at 0335-5833265.
i btainaed mark in maatric 863mark and got 795mark in f.sc can i took admision in nums in bs cardiac???? dates are expected to be announce in first week of OCT. For more details you can call us at 0335-5833265. We appreciate your interest in using Pakprep.com. For AMC they have total of 40, CMH Lahore 89, CMH Multan 70, QIMS 48,Wah Medical 59,HITEC 82, KIMS 75, CIMS 80, CKMC 80. We appreciate your interest in using Pakprep.com. If some students dosent want to get admission in that particular university due to any reason then university issues more merit lists until all seats are filled. We appreciate your interest in using Pakprep.com. We recommend our students to complete their full course and for now you still have some time before test. So we recommend you to prepare yourself from Pkapre.com. We have more than 15000 solved MCQ’s along with explanation. This way you will be able to complete your course with in available time. We appreciate your interest in using pakprep.com. Your matric, FSC and NUMS test marks matter for your admission. To prepare yourself for NUMS entry test please follow the bellow mentioned links. NUMS dates are expected to be announce in first week of OCT. For more details you can call us at 0335-5833265. AOA sir I got 1003 in ssc and 934 in hssc .my father is retired from army. I wanted to know how much marks iwill have to get in nums test to secure admission? We appreciate your interest in using pakprep.com. Your matric, FSC and NUMS test marks matter for your admission. we cannot make any guess for this year merit however check last year merit list you will have an idea. To prepare yourself for NUMS entry test please follow the bellow mentioned links. NUMS dates are expected to be announce in a week. For more details you can call us at 0335-5833265. I got 917/1100 in matric and 953/1100 in fsc. How much marks are required in nums test to get admission im army medical college. sir,plz tell me the overall closing merit of nums for the session 2017. Sir… When will be held nums tst of 2018…?? AOA sir.I have 1000/1100 marks in matric and 977/ 1100 in FSc .how many marks required for my admission in nums medical college. Sir,,,,my score in matric is 928/1050….and 900/1100 in FSC….plzzz tell me how much should I score in Nums to get adm. on open merit…..
We appreciate your interest in using pakprep.com. You can get information about fee only from institute. Your matric, FSC and NUMS test marks matter for your admission. we cannot make any guess for this year merit however check last year merit list you will have an idea. To prepare yourself for NUMS entry test please follow the bellow mentioned links. NUMS dates are expected to be announce in a week. For more details you can call us at 0335-5833265. Is there any change in merit for the children of army officers? If so ..how many % is it changed?? We appreciate your interest in using pakprep.com. There is no exception for army in NUMS. Your matric, FSC and NUMS test marks matter for your admission. we cannot make any guess for this year merit however check last year merit list you will have an idea. To prepare yourself for NUMS entry test please follow the bellow mentioned links. For more details you can call us at 0335-5833265.
sir i have 961/1100 marks in matric and 971/1100 in hssc,sir i am kp student, we have a little bit different course from punjab , kindly tell me how should prepare test.can i follow kp text books or i have to look at punjab text book. Respected sir my matric percentage is 91.6 and my fsc percentage is 82.2 how many marks are required in nums entry test . For open merit. And if possible for self finance also. We appreciate your interest in using pakprep.com. Your matric, FSC and NUMS test marks matter for your admission. we cannot make any guess for this year merit however check last year merit list you will have an idea. To prepare yourself for NUMS entry test please follow the bellow mentioned links. For more details you can call us at 0335-5833265.
i apply nts test of nums 2018.kia yeh nts AMC,KIMS OR DOSRI ARMY UNIVERSITIES KAY LIYE BHI HAI? We appreciate your interest in using Pakprep.com. This test is valid for all affiliated colleges of NUMS, FMDC and all private colleges in Islamabad. Your matric, FSC and NUMS test marks matter for your admission. we cannot make any guess for this year merit however check last year merit list you will have an idea. To prepare yourself for NUMS entry test please follow the bellow mentioned links. For more details you can call us at 0335-5833265. OR IS KI PREPARATION KESE KARNI HAI? please tell me the closing merit of all private medical colleges under nums 2017? We appreciate your interst in using Pakprep.com. We are extremely sorry we don’t have that data and there are many colleges under NUMS. So please visit website of particular colleges where you want to get admission and you will find there merit list. I wanted to know if our test has been made by Nums or Nts ? I mean should we prepare according to the pattern of nums past papers or nts past papers? how can I calculate my aggregate like 10%matric and 40% fsc marks??? should we learn those chapters that are not included in syllabus ????? We appreciate your interest in using Pakprep.com. We recommend our students to cover their full course according to their board. Please visit below mentioned link to start your preparation today. Sir, I have got 1058/1100 marks in matric, 996/1100 marks in FSc and 140 marks in NUMS admission test. Is there any chance of my admission? We appreciate your interest in using Pakprep.com. Yes you have a chance to get admission because your marks in metric and FSc are good. Sir I got 1061/1100 marks in matric …973/1100 in fsc and 134 marks in NUMS test …. is there any chance of admisssion ?? We appreciate your interest in using Pakrpe.com. We can not tell you exactly it depends on overall result but according to our opinion you have a chance to get admission in AMC or FMDC if not surely you will get admission in other affiliated colleges with NUMS. sir , i got 119 marks in NUMS and matric marks is 1019 and fsc marks is 920 so plz.. guide me ky mera admiision ho skta ha in any uni. on self?? We appreciate your interest in using Pakprep.com. We can not tell you for sure but on the basis of these results your admission in AMC is difficult. But you might get admission in other colleges affiliated with NUMS or in private medical colleges. I have 69.10% aggregate in Nums . Is there any chance of admission in any private medical or dental college? We appreciate your interest in using Pakprep.com. We can not tell you for sure but on the basis of these results your admission in AMC is difficult. But you might get admission in other colleges affiliated with NUMS or in private sector depending upon overall result. We appreciate your interest in using Pakprep.com. We can not tell you exactly it depends on this year merit but you have a chance to get admission in that college on the basis of this result. Sir I have got 992 marks out of 1100 in matric…1009 marks out of 1100 in FSc and 134 marks in NUMS…Is there any chance of my admission? We appreciate your interest in using Pakprep.com. You aggregate is 82.9, we are not sure but it’s bit low so its not going to be easy for you to get admission in AMC on the basis of this result. But stay positive and hope for the best. Sir I appreciate pakprep.com. I am using it since Matric. Love this page. Sir my aggregate is 74.75% in NUMS. Is there any chance of my admission. Can I stay positive? We appreciate your interest in using Pakprep.com. We can not tell you exactly about merit, but you have a chance to get admission so please stay positive and apply for all private colleges affiliated with NUMS. my aggregate is 65.41 % any chances in private medical colleges affliated with nums i.e wah med colg or any colg in islamabad ? sir meray nums test mn 109 matric mn 967 fsc mn 923 hain mera admission hw skta hai???? My aggregate is 86.38% in Nums mdcat 2018 ! Is there any chance for Fmdc from Punjab??? Sir can you plz tell me the merit of CMH lahore my matric mrks are 957 and fsc 922 how much mrks needed for nums? Sir on the basis of this marks in which uni I take admission???? Sir on the basis of thos aggrgate(61.01)I can get the admission in any collage which affilatede with nums in any public sacter???? Sir on this aggregate there is any consetion for me in private sector plzz sir gauid me??????? sir after being a army docter can we apply this mbbs degree in government hospitals any where plz reply…..
Sir mere matric me 932/1100 hen or inter part one me 427/505 he . kiya me BDS k liye apply kr skta hu?